i take it you are currently watching the giro d'italia; not right this minute, but as the stages unfold on a daily basis? though the promised thousands lining the strada bianche seemed conspicuous by their absence, pouring rain may well have had something to do with this, and generally the giro does not suffer from the dearth of spectators that is a feature of the vuelta. but when we get to the mortirolo, the gavia and monte zoncolan, the ascents will have been transmogrified out of all recognition. hardly the stark and foreboding topography that legend describes. but if you can take your eyes away from the battles transpiring on the tarmac of those mountains, look at the attire of those cheering loudly and exuberantly from the roadside. many will be in club jerseys, caps and shorts or tights (depending on the temperatures and just how far up the slopes we're looking). not for them hanging about for the bus back home; it's onto the italian carbon fibre to live the dream homeward bound. the point, which was bound to come along at some time or other, is that dressing in the manner of their heroes or club, and walking in that duck-like manner we all know so well seems not at all out of place. unlike the jokes and pointing that we, as art students, used to aim in the direction of bay city rollers fans, nothing looks at all out of place. however, transpose those very same fans into your local branch of mcdonalds or waterstones, and they are unlikely to pass unremarked midst those in normal attire. with the islay whisky festival starting this coming weekend, the number of visitors to the isle is noticeably on the increase, as are those visiting by bicycle. today's portion of velo club d'ardbeg passed larger pelotons heading in the opposite direction, often on wrongly sized or fitted bicycles, wholly inappropriate for slogging into an islay headwind. sadly none are likely to stay long enough to find this out. so with this increase in cyclist numbers on the island's roads, lycra and sportwool seem less at odds with the normal environment, but this will only last a few months, and by autumn, we'll be back to being eccentric. as someone whose sole mode of transport is on two, unmotorised wheels, there are events, times and places where even the more subtle variations on the cycle jersey will mark me out as not one of the civilian population. and it is often to my advantage to blend in with the surroundings; i have no real wish to become a tourist attraction all of my own. in those moments and occasions, i'd really rather look less cycley. i cannot pretend that my desires and wants have not already been catered to by a number of clothing manufacturers, some more successfully than others, but despite my reputation for designer scruff, now and again it's nice to have a bit of style about one's deportment and attire. possibly even italian. nothing in the world of cycling should be a surprise anymore, but emitting a low whistle is not only allowed, but possibly encouraged by the new range from derny clothing of new zealand. geography is most definitely not my chosen subject, but even i have recognised that italy and new zealand do not share any real degree of national proximity. the italian styling therefore comes from an italian in new zealand; claudia pelizzaro. 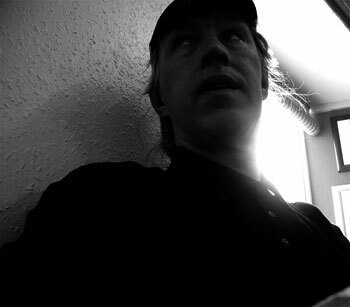 derny clothing is the brainchild of solo's paul mason. rather than call the new range something like solo urban, a whole new identity has been crafted for their urban italian chic, including a readily identifiable red logo that turns up on odd places on the various items of clothing. the review and test concerned here is with the derny long-sleeve merino polo shirt, city shorts and merino socks. there's two sides to this story both of which are contradictory. for starters, i have not only never been described as fashionable or chic, but generally feel uncomfortable in any apparel that would fit that description. so here am i, keen to pursue a secret identity after stepping away from the bicycle, but somewhat at odds with acquring a sense of style. but i could likely get used to it. my complete ignorance of the way of savile row was amply advertised with regard to the derny city shorts. attached to the swing tag is a spare pair of buttons which, upon removal, i not unnaturally wished to place in one of the four pockets. placed anywhere else, it is guaranteed that they will never be seen again, particularly if needed. except, i couldn't open any of the pockets, because they'd all been sewn shut. concerned that the guy in the tailor's in auckland may have had one too many diet pepsis of a saturday eve, i e-mailed paul to point out this feature (not a bug). if i'd only read the website first;"note: derny city shorts, like suit pants, come with front and rear pockets sewn closed for presentation purposes. you will need to unpick the thread Ð all part of the fun. as paul replied, "consider it the clothing equivalent of gluing on a tubular"
unpicked, the four pockets have ample room, the front two being edged towards the outside to provide the least restriction when pedalling. 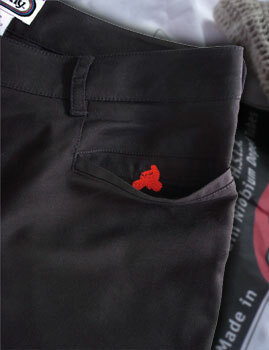 that cool little logo puts in an appearance just inside the top of the left-hand front pocket. the shorts dip below the knee, with a split to the outside lessening any retriction of movement on the bike. there are three buttons sewn with differing coloured thread (a constant feature of the range) allowing the rider to tame or allow the shorts' grasp upon the lower leg. they're cut higher at the rear than front, and the waist features belt loops if such is required. to an extent, threequarter length cycling shorts are an unremarkable bunch, all fulfilling a similar function, but these are somewhat of a triumph in the style stakes. shorts, of course, do not necessarily maketh the civilian; upper body accompaniment could be seen as a compulsory addition, and in this case a long-sleeve merino polo shirt fulfilled this function. this is really what sold it for me; the merino is fairly heavyweight, comparable with one or two merino cycle jerseys in the wardrobe. with superb length in the sleeves and body and a natural flecked black (i'd have said dark grey if questioned under duress; derny call it bitumen) appearance, this is style personified. continuing the derny theme, that neat little red logo appears above the ribbed cuff on the left sleeve, and the three buttons up top are again affixed by red, blue and grey coloured thread. my ensemble for the day was rounded off with a pair of black derny merino socks, featuring thin blue, red and grey hoops above the ankle. the design equivalent of unnatural tan stripes. white merino would have all but given the game away. lots of clothing looks the bees knees straight out the packet, more especially if worn in the relatively undemanding environment of ardbeg distillery or debbie's cafe. but those moments occupy a very small proportion of their day (don't they? ), since principal purpose must be to make the rider look not at all like a cyclist away from the bicycle, while fulfilling the majority of the functionality we all hold so dear when pedalling. 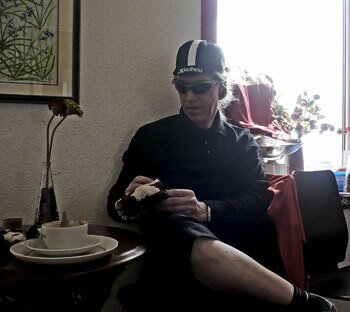 that i mentioned the above establishments was no accident; clad in the polo shirt, shorts and socks, i rode the 25km from bowmore to ardbeg before altering vectors in the direction of bruichladdich and a satisfying soya milk cappuccino. total kilometres added up to about 80 on a cool and slightly breezy day. the shorts were great, the socks unnoticeable (to my mind, the ultimate commendation) and the polo shirt a true stalwart. not only did the polo keep me cosy, but despite the trammeling it received, while being forced into a modicum of swot and hettyness, it looked the same at end of day as it had when unwrapped fresh from new zealand. the marketplace for this style of clothing is starting to fill up quite convincingly, and with the continual improvement in fabrics and technology, few fail to satisfy on most counts. rather than being a case of style prevailing over substance, the two now need to be conjoined; we have raised our expectations. my money's on the little red derny. derny clothing is available direct, though currently not priced in uk pounds due to the vagaries of international currency markets. however, uk customers can still purchase. the socks are available in sizes small, medium and large at a cost of 18 euros ($25); the city shorts are available in black or grey, in sizes 30", 32", 34" and 36" waist at 98 euros ($135). finally the superb polo shirt in bitumen is available in small, medium, large and extra large for 98 euros ($135).